Have you ever wondered why some people have knee pain or back pain? There are many reasons for that such as lack of calcium, carried heavy things and walked too much. 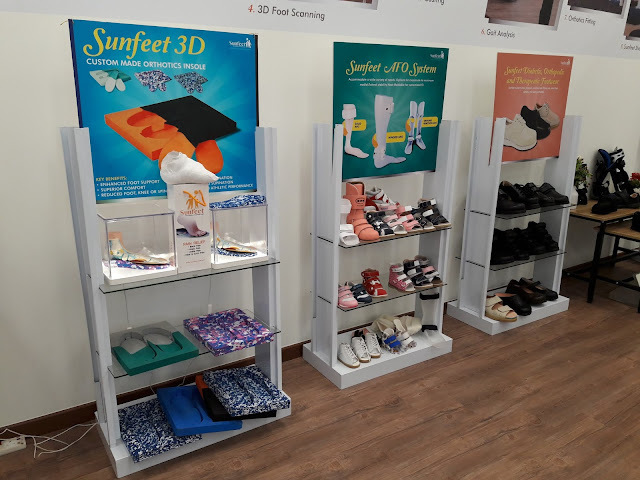 Do you know that one of the reasons could be related to the feet problem they have? I never knew that knee pain or back pain could be related to feet problem until after my visit to Sunfeet International Rehab Centre. When I was there, Dato Dr. Edmund Lee (Orthotist & Prosthetist specialist) gave a good talk about feet care and I understood a lot more about the different types of foot and how to care for my feet. 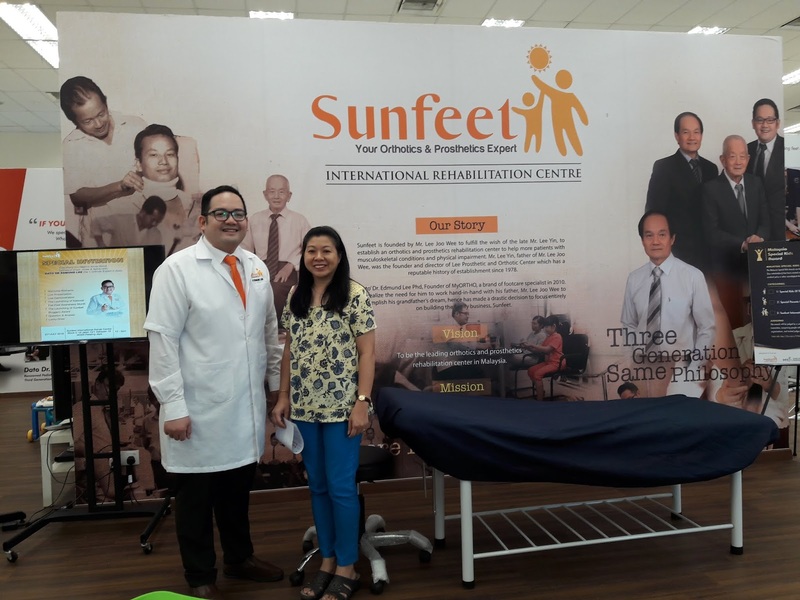 Dato Dr Edmund Lee's father, Mr Lee Joo Wee founded Sunfeet International Rehab Centre to fulfil Mr. Lee Yin, his late father's wish to establish orthotics and prosthetics rehabilitation centre to help people with physical impairment and musculoskeletal disabilities. There are generally 5 types of feet people have - flat, severe flat, normal, high arch and pronated. 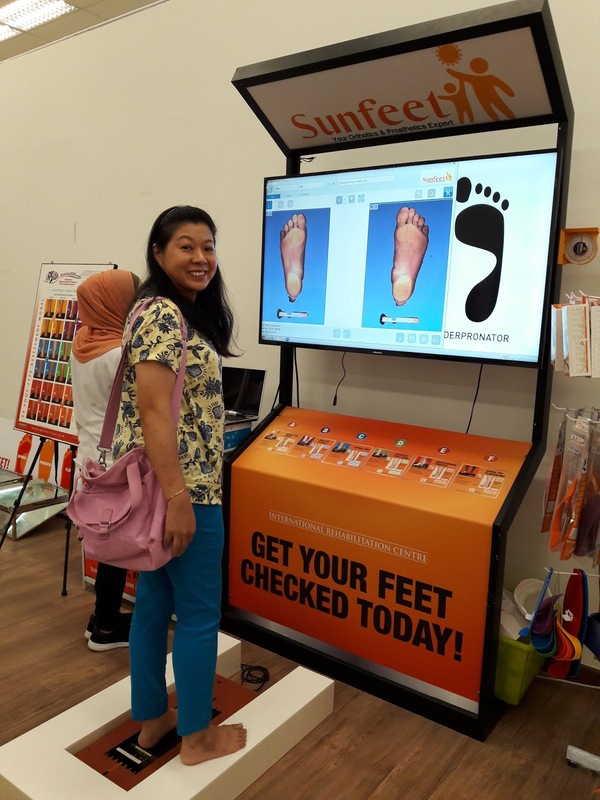 You can come to Sunfeet to get your free feet analysis done. 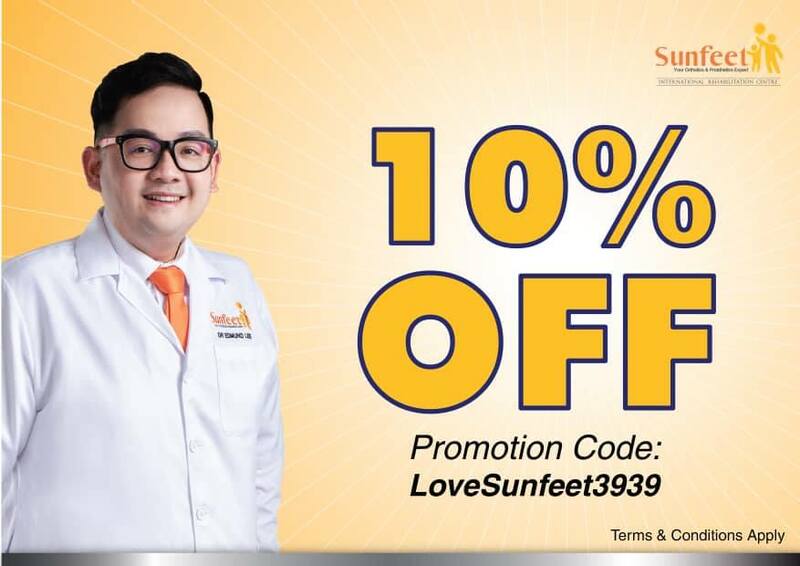 If you do happen to have any foot problem, Sunfeet can fix your feet without any surgery or medication. Sunfeet uses Foot Mobilisation & Manipulation Therapy (FMT) and can recommend orthotic insole or healthy shoes. I had my free feet analysis done using the biomechanical machine and had my foot analysis report printed out. My left and right feet are both slightly low arch type but still considered as normal feet. I was very happy to know I have normal feet. People who have flat feet, severe flat, high arch or pronated feet need to get help before the condition worsens. 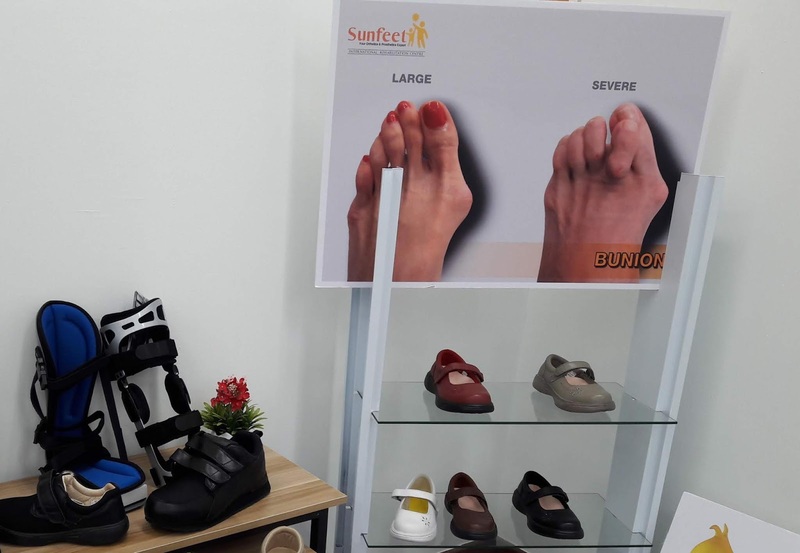 Women who have bunion problem because of wearing high heals & tight shoes need to get help too. If you can't find comfortable or good shoes, you can come here to check out the shoes and insoles Sunfeet sells. The process of making insoles is really fast and easy. 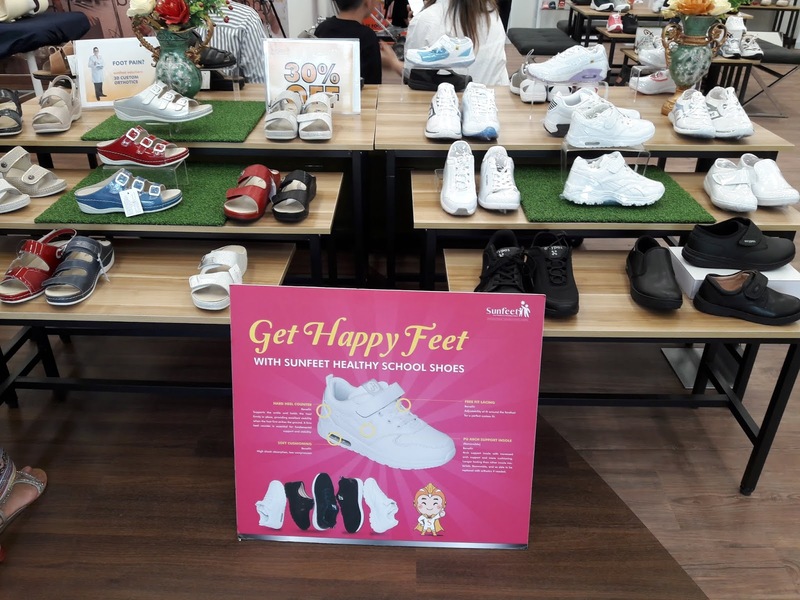 It is painless and anyone including children can get their insoles done. 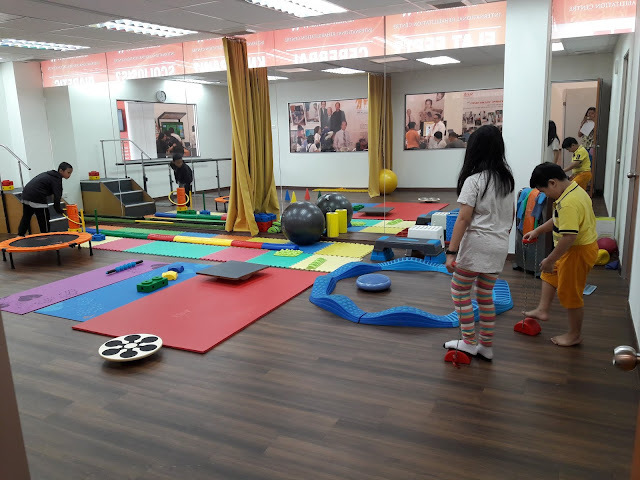 There is a nice & spacious room where Sunfeet Fitness classes are held for feet exercises to improve strength, flexibility and balance for feet, knee and spine. Stretching and exercises are really good for your feet. 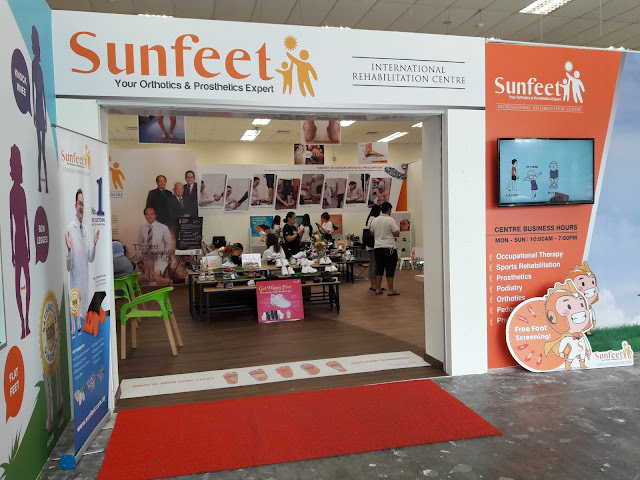 If you want to get your feet checked for free or if any of your family and friends have feet problems, you can bring them to Sunfeet International Rehab Centre. 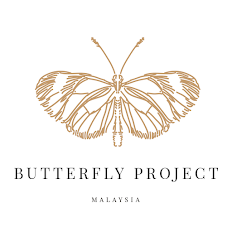 For more information, please visit their FACEBOOK or WEBSITE. 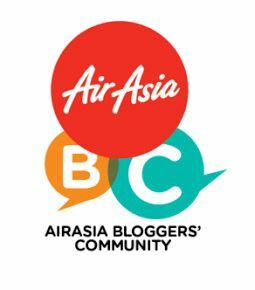 Such a nice event... great that they hv feed check for free... It's truly important to hv a shoe that fit us.. Yes, good to get our feet checked. If not normal, better get insoles or shoes to help before leading to other bigger problems.